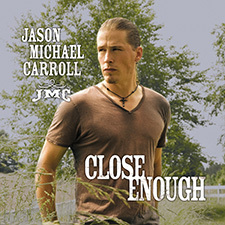 "Close Enough", the new single from Jason Michael Carroll is available on his site for .89! That's cheaper than most artists on Amazon or iTunes. Get ready to start requesting on your local stations this coming Tuesday, August 13. That's radio impact day! CLICK HERE TO DOWNLOAD "CLOSE ENOUGH"